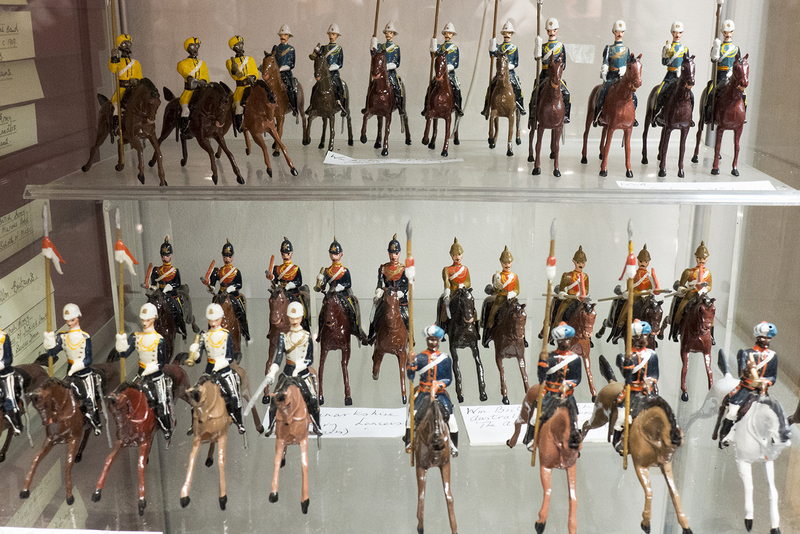 William Britain’s are possibly the most famous Toy Soldier Manufacturer in the World. They began producing them in the late 1880’s and are still doing so today. Soldiers of Rye carries a variety of original sets and individual pieces, particularly cavalry, as shown in the illustration of lancers and troopers. If the figures have enough of their original paint to make them collectable the pieces are not repainted, if not a fresh ‘uniform’ is organised! Please contact for regiments currently available or required.